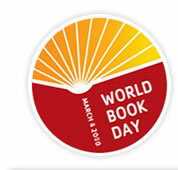 March 4th is World Book Day (well, for two islands in Europe anyway) – its official website describes the day as the biggest annual celebration of books and reading in the UK and Ireland. Encouraging children to read has always been one of the day’s primary objectives. Today World Book Day partner, Author Hotline, is launching a new school resource supporting this aim. Author Hotline’s website is aimed at primary school children to help them understand the creative process and to identify with authors. I had a look at Author Hotline’s website and liked the idea. So I added my profile to their site. I hope children and their schools get many hours of fun and information from their website. More than ever before we need to encourage children (and adults!) to read for pleasure. I think Author Hotline is on the right track. Have a look at their website at www.authorhotline.com. This entry was posted in March 2010 and tagged Author Hotline, children's authors, Dianne Ascroft, reading, World Book Day. Bookmark the permalink.